Home » GBP » Pound Euro Exchange Rate News: GBP/EUR Breaks Through €1.14, Growing Brexit Optimism to Push Sterling Higher? Pound Euro Exchange Rate News: GBP/EUR Breaks Through €1.14, Growing Brexit Optimism to Push Sterling Higher? The Pound Euro (GBP/EUR) exchange rate appears to be consolidating its gains this morning after racing higher on Tuesday on the back of some strong UK employment figures. At the time of writing the GBP/EUR exchange rate remains virtually unchanged this morning, having stabilised after jumping almost a cent on Tuesday. Pound Euro (GBP/EUR) Exchange Rate to Maintain Upward Trajectory amidst Brexit Optimism? The Pound (GBP) has enjoyed a strong run in 2019 so far, with the UK currency accelerating against the Euro (EUR) over the last three consecutive weeks and currently looks on track to make it a fourth. This appreciation in Sterling has mostly been driven by optimism that the UK will avoid a no-deal Brexit, with a growing consensus that the government will at least be forced to delay the UK’s exit from the EU, an outcome that looks set to turbo change GBP exchange rates. ‘All that has happened is that the risks of a super bearish Brexit outcome continue to fade, hence the Pound has traded relatively well. GBP/EUR Exchange Rate Forecast: Dovish ECB to Drive Euro Lower? In the short-term, the Pound Euro (GBP/EUR) exchange rate is likely to continue pushing higher through the second half of this week’s session as the European Central Bank (ECB) delivers its first rate decision of 2019. While Mario Draghi struck a broadly upbeat tone at the end of 2018, observers now expect that the ECB President will be notably more cautious this week following a run of lacklustre Eurozone data, with economists forecasting that the ECB may now keep rates on hold until 2020 at least. 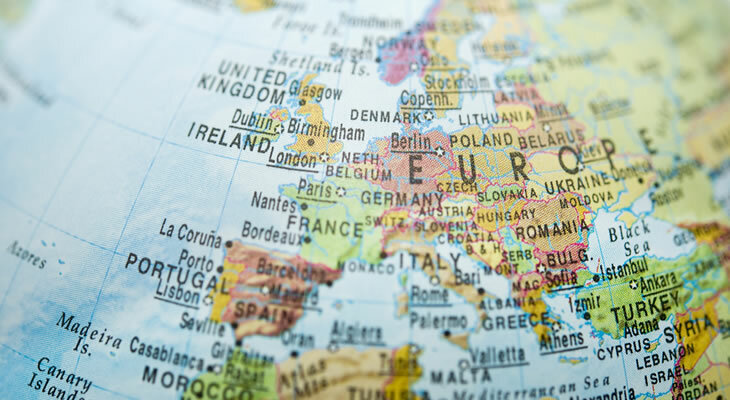 Further softening the Euro this week may also be the release of the Eurozone’s latest PMI figures, with analysts predicting growth in the bloc’s private sector will have remained muted at the start of the year.